How to fix MULTICORE CHECKSUM MODE? This file very-very incredible, tested on many samsung mode, maybe all mode samsung it work. I dont know. special thanks for bavesore for this magic file. 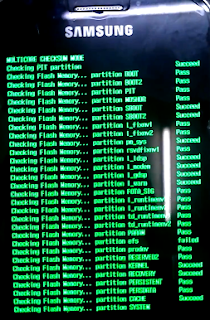 Below is list mode off device samsung tested fixed MULTICORE CHECKSUM MODE problem has solved. If the list under your android type does not exist, please try flash it, it's okay, because the list in a list trial also results from some and turned out to be a success, so we add in list. 0 Response to "[SOLVED] MULTICORE CHECKSUM MODE ERROR SOLUTION ALL SAMSUNG 100% TESTED"